Parks in India are mostly remotely located and can be a challenge to reach for the traveler with limited time. Our team will be happy to organise a charter plane to the nearest airport, adding on to the time spent on safari. For Bandhavgarh Tiger Reserve we fly from any major city in India to Umaria air strip which is about 40 minutes from our lodge. For Kanha Tiger Reserve we fly to Birwa airstrip about 1 hour from our lodge. 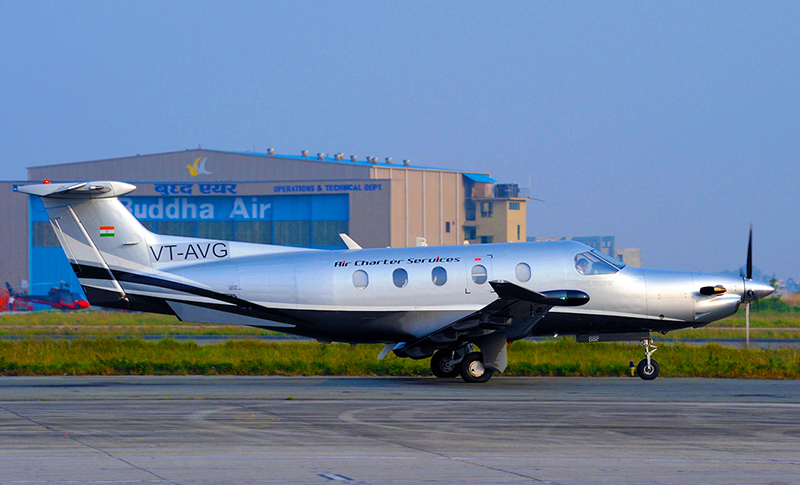 We can also fly between Bandhavgarh & Kanha Tiger Reserves. 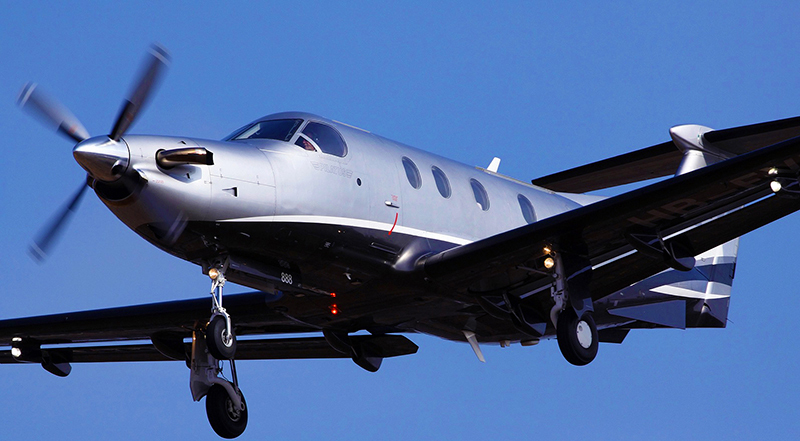 We have many aircraft options available, the frequently used is the Pilatus PC 12. 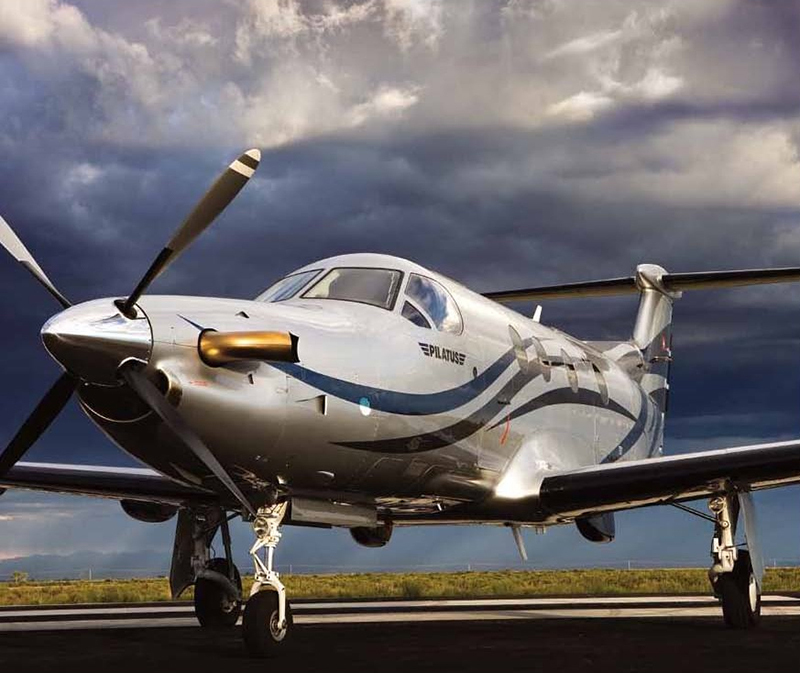 The Pilatus PC-12 has gained a reputation for outstanding versatility, performance, reliability and operational flexibility. As such, it is one of the most popular turbine-powered business aircraft on the market today. 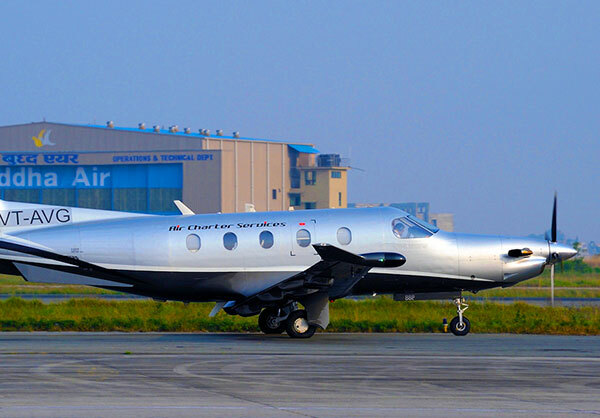 In operation around the globe, the PC-12 has found popularity in a number of roles including executive transport, air ambulance and government special mission applications. 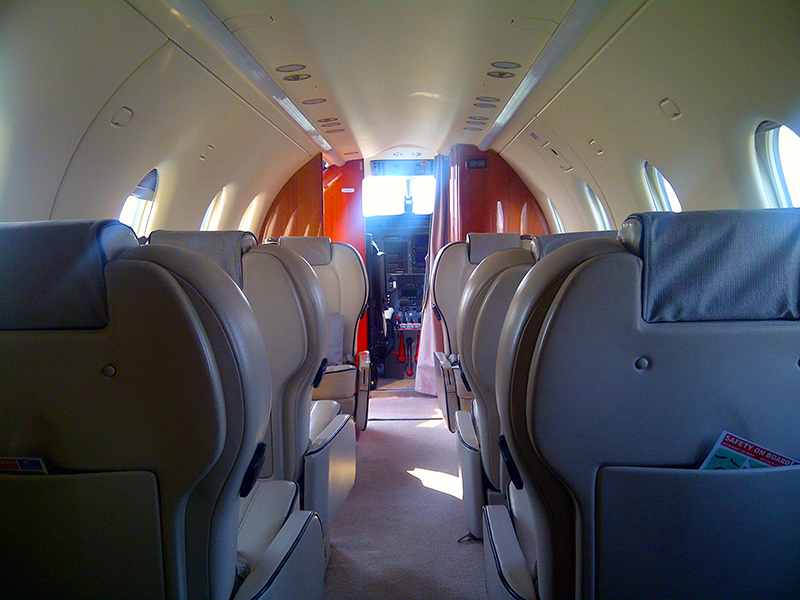 The cockpit features EFIS displays and the PC-12 is certificated for single pilot operation. Flight crew of one or two pilots (certificated for single pilot). Corporate/executive transport configurations typically seat six or eight in main cabin.